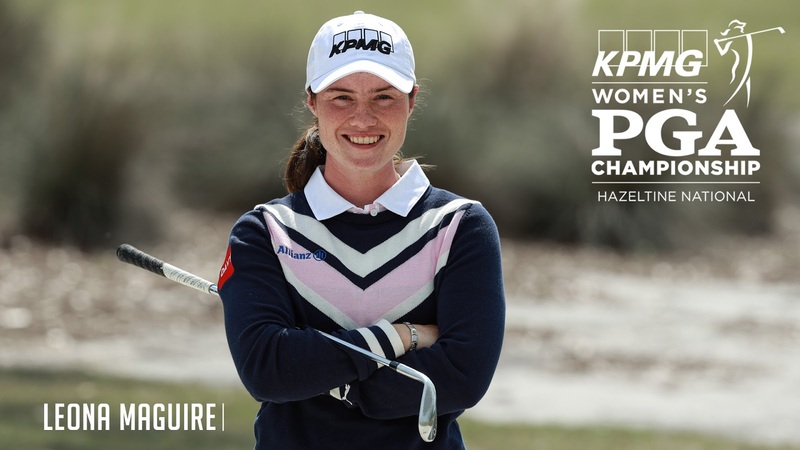 CHASKA, Minnesota – Leona Maguire of Ireland has accepted a special exemption to compete in the 2019 KPMG Women’s PGA Championship, June 18 – 23, at Hazeltine National Golf Club in Chaska, Minnesota. The 2017 Ladies’ British Open Amateur Champion, Maguire competed in the 2016 Olympics, representing her home country, and finished in a tie for 21st place. She is a three-time Curtis Cup participant (representing Great Britain and Ireland) who has twice earned her LPGA card through Q School, only to return to college both times. "The opportunity to play in the 2019 KPMG Women's PGA Championship at Hazeltine is a true honour and I could not be more excited,” said Maguire, who spent more weeks (135) as the world's top-ranked amateur than any player in the history of women's golf. “It’s going to be special week competing in this major championship against an elite field on a golf course with so much history." Golf Channel will televise the first two rounds of the KPMG Women’s PGA Championship, Thursday, June 20 and Friday, June 21, from 6:00 - 9:00 p.m. ET. NBC coverage of the final two rounds, Saturday, June 22 and Sunday, June 23, will air from 3:00 - 6:00 p.m. ET.